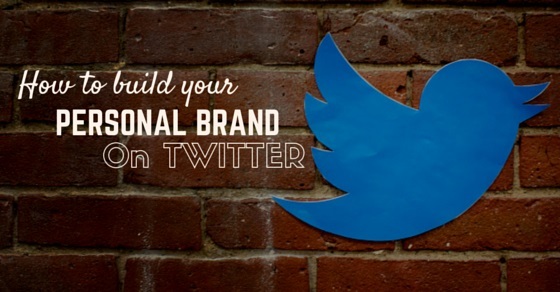 How to Build your Personal Brand on Twitter? Social media is the buzzword today. At least 80 percent of the world population seems to be on social media these days. Of the many social media networks, Twitter is where a majority of world netizens seem to be showcasing their presence. As per February 2009 statistics, Twitter had 7 million users and in September 2011, Twitter announced that there were 100 million users who logged once a month while 50 million users used Twitter daily. That means your Twitter account, reaching to many people has just become easy. Thus Twitter can be apt for those looking for career growth and it possible only if you build your personal branding on Twitter. The following mentioned are few personal branding tips on creating a personal brand on Twitter and few Twitter brand guidelines. Domain names have always been desirable, for a unique domain name meant more curiosity and hence more visitors. Especially, if you have a business, then having a domain name that has the name of your business helps. Just imagine what would have happened if Google did not have its domain name brand. Similarly, it is important that you have your own unique Twitter handle, especially, one with your full name and if you are a business owner, then get a handle with the full name of your business or products or the products you are planning of launching in future. Having your own Twitter handle is the first and most important step of building your personal brand on Twitter. Because of the importance of Twitter handles, there is also a zone Tweexchange, where one can buy or sell user names. So, hurry! As in any other platform, you should build a strategy on how you wish to brand yourself. The first step towards it is to fill in all details of your account. If you want people to trust you, then they will want details about you. Incomplete profiles are considered to be fake ones. Create an honest and interesting biobased on your other websites and online accounts. It is through this bio, that you will be known amongst fellow users. A good Twitter background will help you in building your brand image and those who follow you will be able to experience an organized feeling about you. Sites such as Twitpaper and Twitter image can be of great help. A simple but effective background can be one that has a format and colours that are a part of your business logo or website. It helps give an identity to your business and your personal brand. On the background, you can also give more information, the ones you could not include in your profile. Tweets have to be short, just 140 characters or so and hence, whatever message you want to convey, you will have to keep it short. The best way to attract followers on Twitter is to have a consistent topic to tweet about. For example, if you are a marketing expert, then send out relevant tweets such as marketing techniques, marketing mantras or interesting anecdotes about the field. You can even accept questions from your followers and answer them. Be consistent and regular and tweet as much as possible but do not deviate from the topic. In this way, you can be known for your tweets and establish your identity as an expert in the field, which will get you more followers and more business or clients. Be it a website or a blog, you need to have marketing techniques to promote it. Similarly, you need to market your Twitter account to get more followers and visitors because that’s what alone will help you build your personal brand on the site. There are various methods to market your Twitter account. You must already be having your website URL or your blog URL in your email signature, from now on add your Twitter handle too so that along with your emails, your Twitter handle will also reach to many. Also you should include your Twitter handle in your website contact, blog page, and email newsletter and even on your business card. If you are sending out articles on your matters of expertise or you are blogging, you should include your Twitter handle in your by-line. And of course, the more you network, more will be your followers. Use the ‘@’ symbol and retweet tweets, communicate with people, and ask questions or respond or add your comments because through these means, you can get responses and attention from other users, which can turn into your followers. Nowadays you have many applications that help you manage your Twitter accounts more easily. These applications thus help you build your personal brand and constantly help you work on it. Tweetlater (you can schedule your tweets beforehand so that they are sent out as per a set time-table, irrespective abut you are online or offline) and more. That’s right! For building a personal brand on Twitter, use a professional photograph of yours. You can upload your picnic, family and other informal photographs on Facebook but when you want to promote your brand, then you should have a formal image of yours on your Twitter handle. If possible, get a professional photograph clicked from a professional photographer, though any photograph of yours will do as long it looks formal and professional. It helps because such a bio will help to discover your handle faster because most of the time people are looking for a certain kind of expert or professionals who have experience in a certain field. Since you have to create a bio in 160 characters, you have to be short, sweet and relevant in such a short space. Hence think of what keywords people will have to use to reach you and use them accordingly. You may or may not have your own website but having a link to an exclusive page of yours will be of great help in developing a creative personal branding on Twitter. You can either make an online page or give a link to your LinkedIn profile or your blog. This helps users to know you more and thus establish a connection with you, which will eventually lead to adding more followers on your account. Adding your location in your profile will not lend authenticity to your brand but will also help users establish an identity and belonging with you. No matter where you are located, people who follow you will know that you are based at a certain location and that you can be approached even offline. Even though you wish to establish your brand image online, having an offline presence or letting people know that you are available offline helps to add more followers in your list. Your personal brand is not just about what or how you or your products are online but it is also a reflection of your brand offline. You should be very clear as to how you want to be seen or heard or how you want your visibility and presence online. You should also know how the content will be able to showcase your mission and vision. Being clear about the message you want to send across, is one effective way to promote your personal online branding on Twitter. ‘Give and take’ policy is what matters in Twitter. That means if you want to be followed by many, then you should also start following that many. Though statistics say that you may not be followed back by all the ones you follow, but there is definitely a certain percentage of people that will follow you right back. Now, you also have a variety of tools that can help you to follow in bulk and the only precaution that you need to take here is that you can only follow 100 in a day because more than 100 a day, Twitter will put a ban on you. Some of the tools are FollowerWonk, Twellow, TweetAdder and so on. One of the most effective and much used means to build a personal brand on Twitter is through hashtags. Look around and see what hashtags are your industry peers and even rivals using and also find how often they are used. Accordingly, do your own research and build hashtags that suit your brand and scatter them in your tweets. Hashtags can help you reach more people in a limited period of time. On one side, as you are implementing various means to build your brand on Twitter, on the other side, you should also monitor your efforts to check if they are working or not and accordingly you can plan other promotional methods. Advanced Twitter Search is a tool where you can initiate your search and even save them for future so that you can refer to them and act accordingly. Tools such as Google Alerts, Tweetbeep and even Hootsuite can be of help in this process. These tools will inform you about your keywords and you can monitor yourself and others using these tools. All the above procedures will be no consequence, if you are not a disciplined and regular tweeter. You should be able to send as many tweets as possible in a day or perhaps in an hour or so. Since only 140 characters are allowed, think of imaginative and proper words that will catch attention and make sure that you are sending more and more tweets in a day. Do ensure that your tweets are intelligent, effective, sensible and catchy. Remember, these tweets should help you build your personal brand on Twitter and should be able to give you a solid platform and visibility that is positive and authentic. There is no better way to build your personal brand other than social media. Of the various social media sites, Twitter is today, the most visited one and hence, it offers various avenues for personal branding. It is important that you use all the channels and opportunities available on Twitter if you are serious about your personal branding exercise. The above steps can help you not only to create a twitter account that has a great presence but one that will be followed, visited and accessed, and thereby getting you more followers. When you have more followers, you will have surpassed the main hurdle to building and promoting your personal brand. Follow the above steps and be a successful brand. Previous articleHow to Build your Personal Brand on Facebook?